Along with exploring new cultures, one of the greatest points of travel is the discovery of new cuisines. 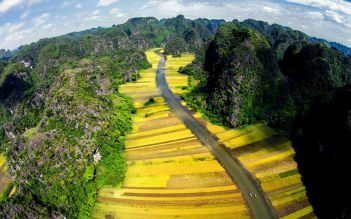 From Hanoi and Halong Bay to the historical charms of Hue and Hoi An, and on to the buzzing streets of Ho Chi Minh City - only a visit to Vietnam can truly reveal the diversity of the country’s cooking tradition. Experience all of Vietnam’s iconic sights, spend time cooking with some of the country’s top food experts and get a true taste of Vietnam on this delectable Real Food Journey. Warmly welcome on arrival Noi Bai Airport by our driver & AC car. Your guide and driver will meet you outside the baggage claim of Noi Bai Airport and take you to your hotel in the city center. Have breakfast at your hotel. Start an exciting day with an awesome cooking class. 08:30am You driver will pick you up from your hotel and transfer to cooking class then we will meet at the cooking class. Enjoy a special Vietnamese welcome tea. Next, a short brief introduction to Vietnamese cuisine highlighting the contents of tradition meal. After the market tour, back to cooking center and commence cooking class with Tracey Lister and /or cooking center chefs. Take home printed recipes as well as samples of some local fruit, green bean cake, quail eggs, etc. 12:30 Our drive and tour guide pick you up at your hotel then transfer to Ho Chi Minh Complex, including the mausoleum of the nation's founder and leader. Here, the large crowds gather to pay their respects to the man they simply call Uncle Ho as they silently file past his glass sarcophagus. The Presidential Palace and Uncle Ho's wooden stilt house can also be seen here. One of must-see places in the complex is One Pillar Pagoda dating back 11th century. From far view its shape looks like a huge lotus flower. The next stop is Temple of Literature - the first university in Vietnam, the site of Vietnam's oldest university and dedicated to one of the world's most famous scholars, Confucius. From here, we continue the walking tour of Hanoi 's vibrant Old Quarter and Hoan Kiem Lake , the focal point of the city. 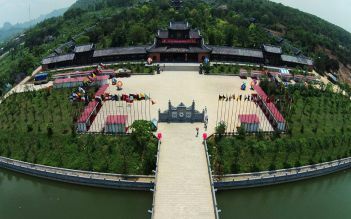 This is not only a beautiful spot but also is the historical site of the legend of Le King and golden turtle in the lake. 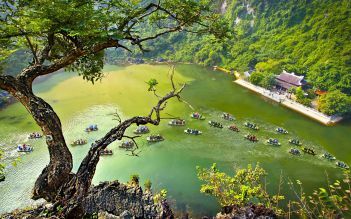 Our guide will tell you about the legend of the lake and how it become one of the Must-See places in Hanoi Old Quarter for both domestic and international tourists. 16:30: Come back to your Hotel, finish the tour. Have breakfast then check out of hotel. This morning leave Hanoi for Halong Bay – World Natural Heritage site – via the Red River Delta with 3.5 hours drive. Upon arrival to Halong Bay, you will be welcomed on board of a junk cruise and set sail in the bay while lunch is served. Cruising further in the magical bay, you can see thousands of sculpted limestone islands rising from the waves like dragons' teeth on the turquoise waters. Enjoy a free day in Hanoi to do some shopping around Hanoi's Old Quarter. In the afternoon, your driver will transfer you to Noi Bai airport for your flight to Hue. When you arrive in Hue we will pick you up and transfer you to your hotel. In the evening, start the Culinary Hue Night Tour tour by Cyclo. We will pick you up at 18:00 from your hotel. Your journey will start at the restaurant “HANG ME” located on Vo Thi Sau street to enjoy there special cakes (Banh beo, Nam, Loc, Ram it, Banh cuon...). Then the Cyclo will take you to “Hen island” to enjoy clam dishes such as clam rice, clam noodles. Walking on Le Loi Street at line of a poetic journey, we will take you to a one of the most famous sweetsoup shops in Hue. After enjoy Hue's sweet soup, you will continue your journey to Dinh Tien Hoang street to enjoy favorite cakes “BANH KHOAI”, “NEM LUI” (Hue's typical spring rolls). On the way, you will visit the Imperial Citadel and Truong Tien bridge in an amazing night. At the end, the Cyclo will take you around the streets in order to admire Hue's romantic night. You can also purchase special souvenirs such as: sesame candies, conical hats, sour shrimps, long dress (Ao Dai), Minh Mang wines. 22:00: Ending of the tour. Cyclo will take you back to the hotel. Have a breakfast at the hotel. 08:00am: The guide and the driver will pick you up from your hotel, then we will start the tour visiting the massive Imperial Citadel. It is the most well-known and iconic site in Hue and built by King Gia Long in 1805. You will be able to see the sprawling complex comprised of the Imperial City itself, with museums, lakes, lovely gardens in a series of concentric circles. After that, you will visit Minh Mang Tomb which has an air of magnificence and formality, and its harmonious blend design with its natural surroundings. In the afternoon, get transferred for about 3 hours from Hue to Hoi An Ancient Town - the principal port of the Cham Kingdom in the past and now an UNESCO World Heritage site. Along the way we will stop in the proximity of Da Nang for admiring the “best coastal way” Hai Van pass, visiting Marble Mountain - named as 5 elements of universe, stone carving village of Hoa Hai or have a glance to Cham museum for a glimpse into Cham Kingdom, which once dominated Indochina. Check in, free at leisure the rest of the day and overnight at Hoi An Hotel. Be ready for the Hoi An Food Tour of Half Day tour, you will become a Vietnam food expert in just 4 hours! We will take you to the most popular street stalls and hidden alleyways in the city and show you where the locals really love to eat. Eat like a LOCAL! 15:00pm Our tour will begin with a pick-up in your hotel. You will be greeted by our friendly local guides and then introduced to the safe way of riding on the back of the bike during your tour. After a quick briefing, we will start heading out for delicious food tasting adventures at 15.00. First stop is the famous bread shop in Hoi An where you will try one of the best Vietnamese sandwiches of the country. Then, we will walk around the local market. Bustling Hoi An Central Market is certainly worth a look for its authentic slice of Vietnamese life. Here, guests will enjoy Cao Lau with the authentic local taste, a specialty just found in Hoi An. In the next stop, we will go through a small alley and stop at local business house that you could not find by yourself. We will see how real Vietnamese life looks like. Here, we will discover a Vietnamese Traditional cake (Banh Beo) – a popular snack of Hoi An people. You will have a chance to talk and take photos with the owners. Afterwards, it is time to relax your stomach. Our local guide will bring you to the oldest pagoda in Hoi An where few tourists go and then take a lovely trip through the countryside. Guests will enjoy a unique dance performance done by our lovely guides, and you will see farmers working the rice paddies with the sunset reflecting off their hats. After stopping at the rice fields we will continue our trip and try Banh Khot- a round pancake made with rice flour, turmeric, coconut milk, quail egg and vegetables in a famous street vendor near Hoai square. Next, you will take the food challenge - Balut - One of the Top 10 weird foods in the world. Egg no more, duck not yet. It is not because of the taste but because of its appearance. Free at leisure until being picked up and transferred to Da Nang Airport for about 30 minutes by our driver for your flight to Ho Chi Minh City. 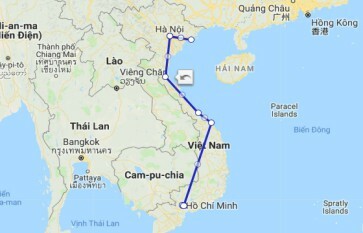 It takes about 1 hour to fly from Da Nang to the Southern hub Ho Chi Minh City. Upon your arrival at Ho Chi Minh City, you will be welcomed and picked up by our driver to transfer to Ho Chi Minh Hotel. Check in and free at leisure for the rest of the day. Overnight at Ho Chi Minh Hotel. 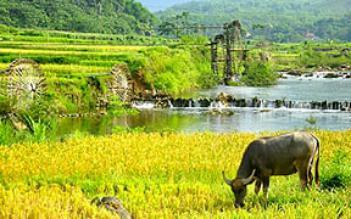 Pick-up from your hotel at 7:30am and drive to Ho Chi Minh Agricultural Villages. Here you have the chance to study variety of many kinds of flora, herbs, mushroom and vegetable before starting your cooking lesson. The class includes demonstrations which will help you gain insight into the diversity of the Vietnamese cuisine, as well as time to help prepare these traditional dishes. You will have a chance to enjoy great healthy cooking tips and collect a nice certificate, recipes and souvenirs. 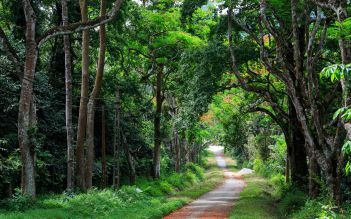 In the afternoon, visit Rice Papers Villages and Rubber Tree forest, where you will have the understanding of how to make rice Papers and help out to make rice papers if you want. Exploring the Big Rubber tree forest and Understanding how the Local people Collect The Latex. After that, visit Cu Chi Tunnels of the Vietnam - American War, and discover how these tunnels were constructed. Visit Hoang Cam's smoke-less store and tryi gun shooting with real bullets (fees not included). The Journey will be end at 5:30pm in Hotel Ho Chi Minh. Today you will travel to the Mekong River Delta on a day trip to explore its rich culture and beautiful landscapes. 08:00am Pick-up from your hotel in SaiGon to go to Ben Tre. The boat will cruise along the Ham Luong river (a branch of the Mekong River) and stop off at various local workplaces to give you a picture of how the local economy works, including brickworks (where bricks are still painstakingly made by hand); a salt refinery; a coconut processing workshop (where you can sample fresh coconut and see how every single part of this versatile nut is turned into food and also other products); and a mat weaving house (where straw mats are woven using a hand loom) – you can even have a go at weaving yourself! The boat will then stop in a quiet village where you can have a short walk to experience the real Delta village life. Before boarding you will get a ride on a xe loi (a kind of motorised rickshaw) and you will travel into the forest, where you can visit fruit orchards before stopping at a riverside restaurant. There, you will have a delicious and filling lunch, of feature local specialities as elephant-ear fish and river shrimp, washed down with some cold drinks or beers. After lunch, it’s time to board on a sampan for a relaxing trip along narrow canals. 16:00 End tour at your hotel in Ho Chi Minh. Free at leisure until being picked up and get transferred to the airport for your onward flight. Asia Package Travel organised a private tour for our family in Vietnam for 12 days. The chosen hotels were excellent in terms of location, rooms and amenities. All the transfers etc worked well. We were also impressed by the guides who gave us a great insight into their country. We appreciated that the company organised a very late check out (9pm) at our final hotel which enabled us to spend a whole day visiting the city and then relax in the room before our flight. I would recommend their services highly.